We really enjoyed the house/property. Quiet, clean and spacious. Maintenance was quick to respond to fix things. The only negatives were the kitchen wasnt as fully equipped as we thought (no potato peeler, large bowl for salad, can opener didnt work well, toaster didnt work), the beds made noises if you rolled over and the mattresses were in need of replacement. Just updating them would be nice. One quilt was "crusty" with food but had been folded and put in closet! But towels were clean. We brought our own paper goods but they were provided so that was nice. I am a good housekeeper so left the house in slightly better shape than we found it. That way we will be welcomed back! I will keep this house in our files because we really enjoyed it. Thank you very much! We did enjoy our stay and the house as well..There were a few minor things...the bathroom light downstairs on the left side, light bulb wasnt working. Also the bathroom downstairs on the right side outlet wasnt working either...The downstairs door to the patio lock jams up...and I am not sure if someone lives in that house regularly but when we got there, there was food already in the refrigerator...Other than that, everything was great. Looking forward to renting with your company in the future. We had a wonderful time. The House was perfect for us. The view was magnificent. We will probably want to stay there next year. We really enjoyed our stay in your home, and our family had wonderful and memorable ski vacation. It was a beautiful home. My family had a wonderful stay. There were about 12 burned out light bulbs. There was only one working light bulb in one of the bedrooms on the third floor. The shower head on the second floor sprayed on the wall so probably needs to be tightened. I thought the memory foam was a tad hot to sleep on. Other than those minor problems we had a great time and would like to come back again. 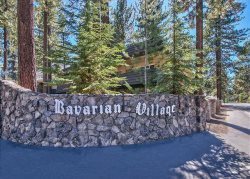 Renting with Tahoe Select Rentals was easy and thank you for accommodating us. I appreciate all your help. This was fantastic and looking forward to visiting the same house again! Thank You! We had a wonderful time in Tahoe! Appreciate your great service! Overall, we really enjoyed staying at the property and will definitely contact you for our next vacation this coming December again. Just a couple of things we wanted to share, the first one is that the doors in the bathrooms upstairs do not lock so there is no privacy. The doors had little notes but nobody paid attention to them and still opened the door when someone was using the bathroom. The second is that the comforter in the master bedroom is pretty old and ripped and does not give a good first impression. Other than that, we really enjoyed our vacation and are looking forward to our next vacation. Thank you so much. We had a fantastic time at the duplex, and I will be sure to tell my friends about this place. I would certainly like to rent it again next time! We had a great stay! We were very surprised at the quick response and resolution of the hot tub issue, and the cabin itself was so quaint and perfect. Thank you very much! My friends, husband and I had a WONDERFUL time staying in this beautiful home. It has a wonderful open living/kitchen space, the hot tub was GREAT, super close to Heavenly... it was exactly what we were looking for. There were a few things to note: - Kitchen lacks basic spices, oil, flour, etc and could use some updated pots and pans. But I was prepared based on other reviews so it was not a problem. - I really appreciate that everything seemed to be labeled, which helped us figure out how to lock doors, turn on the fireplace, turn on surround sound, etc. - We did encounter some issues with the heat overnight - some of the guest rooms were very warm while others were just right or slightly cool. We couldnt figure out how to make the heat just right for all spaces. - One of the rooms downstairs mentioned that they heard a periodic beeping, like what you might hear from a smoke detector when the battery is low. Other than these minor issues, we appreciate our stay and the prompt communication from the property manager in the reservation process. Thank you! Thank you! It was a very nice home and location!